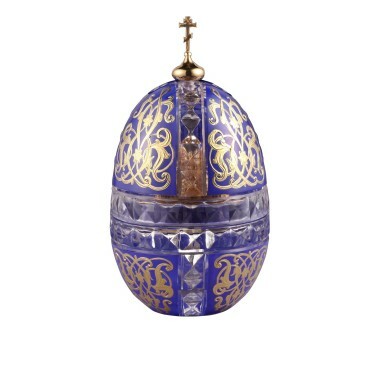 In 1988 Theo Fabergé designed his St Vladimir Egg in celebration of the millennial anniversary of Russian Orthodox Christianity. The St Vladimir Egg 1988 presented the scaled re-creation of St Vladimir’s Cathedral, which stands on the site where the first orthodox baptism in Russia took place in the year 988 AD, in Kiev. The Egg raised money for the Russian Orthodox Church in the USA whose members and supporters welcomed the creation with gratitude and enthusiasm. The edition sold out swiftly and raised a substantial sum for the delighted beneficiary. Today we celebrate the new reunification whereby the Russian Orthodox Church in Russia is reconciled with its associate churches in other countries and continents. Thus, the RUSSIAN CATHEDRAL EGG is created. 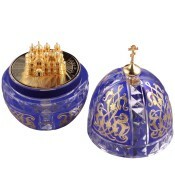 The design remains faithful to Theo Fabergé’s original concept of 21 years ago with the additional benefits of royal blue overlay to the crystal – the colour decorating many of the domes adorning the thousands of Orthodox churches established since 1990, and others restored throughout the world. 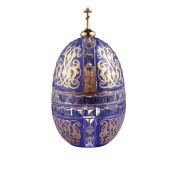 The lead crystal of Russian Cathedral Egg is mouth-blown, and hand-cut. Raised gold decorates the enamel work. The creation’s finial is the enduring image of a Russian orthodox cross. 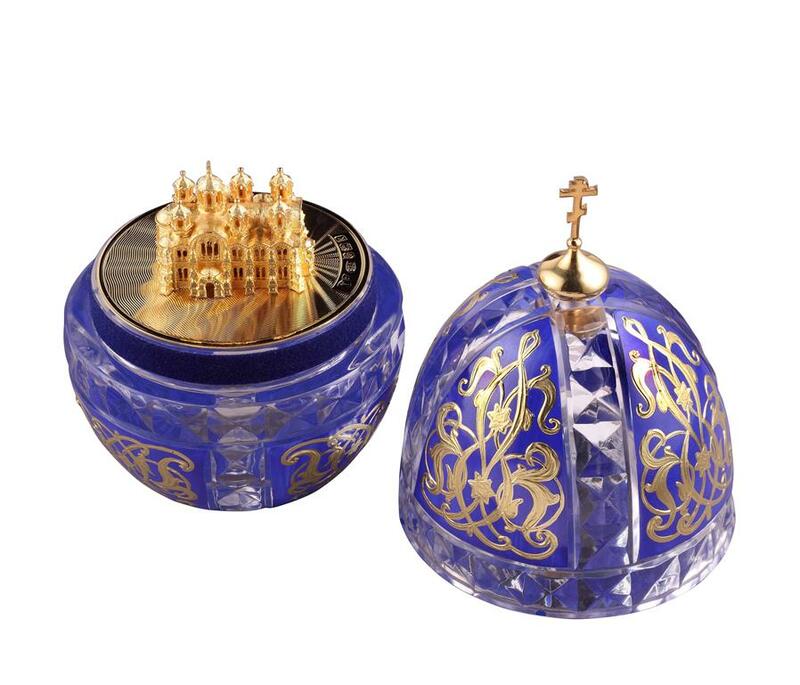 Open the Egg, and the surprise: an exquisitely detailed model of the Kiev Cathedral, executed with a 24-carat gold finish on hallmarked sterling silver. The RUSSIAN CATHEDRAL EGG by Theo Fabergé allies enduring craftsmanship, with the lasting values of reconciliation and faith.